This book is a revised and extended version of the author’s PhD thesis. In the classical Turkish literature, Dhati (d. 1546) is known as the second most prolific ghazal-composing Ottoman poet after Muhibbi (d. 1566). 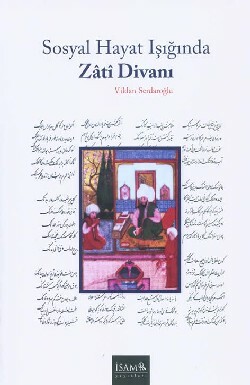 The book, entitled Sosyal Hayat Işığında Zâtî Divanı (Dhati’s Diwan in the Light of Social Life), aims to present the parallelism between poetical images, as reflected in Dhati’s ghazals (love-songs), and some aspects of the then Ottoman social life. It is proposed, in the person of Dhati, that an Ottoman poet’s poetical imagination has not been shaped independently from the images ample in the traditional Islamic poetry and from the social life of which the poet had been a part. One of the most attractive aspects of the book is its method; “what is said” rather than “how is said” in Dhati’s poetry is mostly dealt with. Besides, the concrete reflections of the then social life in the poetry prove that the six-century long Ottoman poetical tradition was not restricted only to socially isolated, abstract emotional life. On the contrary, it can be a good source for cultural history as it reflected many details of the time.